LYS has served more than 8,000 youth since it’s founding in 1971. My mom, Pattie Morrison Kitchen, went to LYS as a delegate in 1973 and went on to serve as a junior counselor, counselor, and eventually on to the board of directors. Both of my older brothers, Crawford and Ben, attended LYS as a delegate and served on staff. My experience as a delegate at LYS was a unique experience. 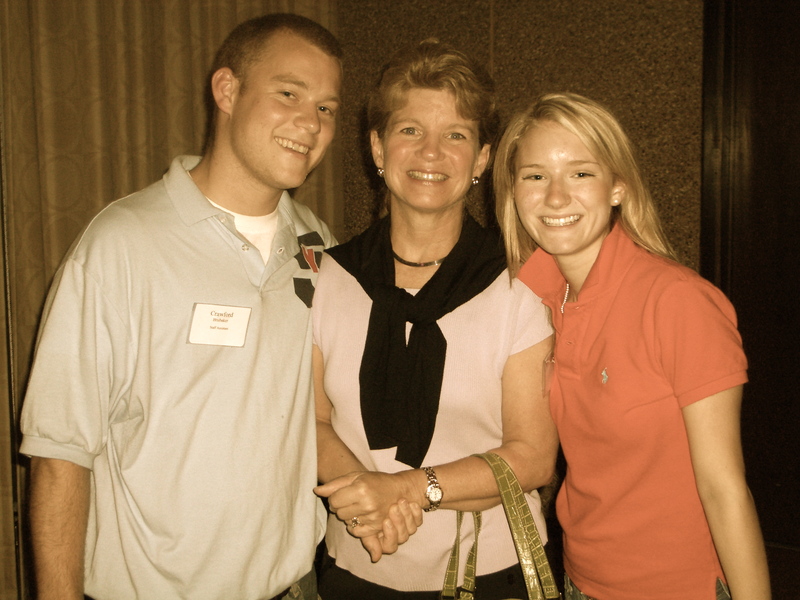 My mom was a current board member and both of my brothers were on staff. I was fortunate to have my family there as we celebrated Crawford’s five-year ceremony. Even more so, I was honored to join the staff of LYS in 2006 and I just completed my fifth year on staff, my sixth year at LYS. At LYS, delegates don’t simply learn to be leaders. They learn to be themselves, to come out of their shells, and to treat others with utmost respect. LYS taught me so much more than that. It gave me a chance to show people who I was, what I loved, and how I could learn from others as they could learn from me. This blog is a small attempt to show my gratitude for a program that gave so much to me over the years. 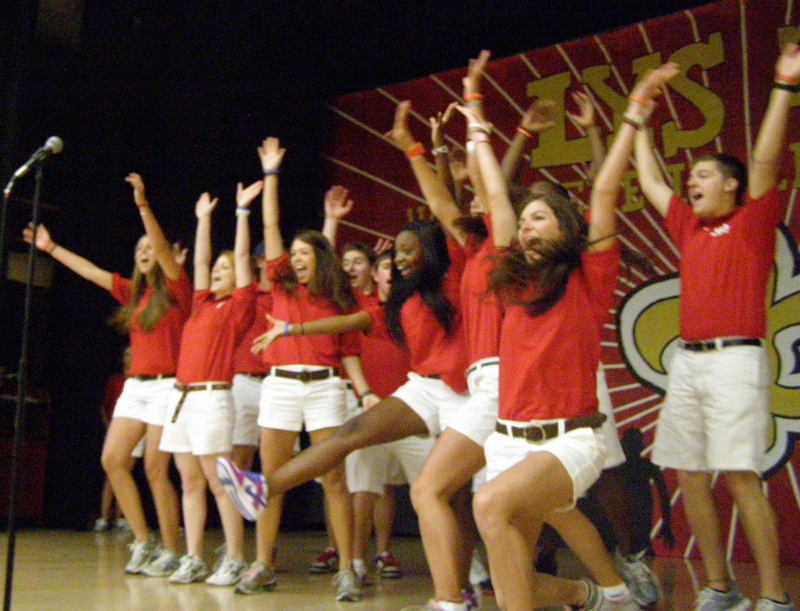 I have to talk about the 2010 Louisiana Youth Seminar: We Believe in Leadership. The 2010 seminar was unlike any I had ever experienced. From the minute I stepped foot off the plane in Baton Rouge I knew this year was going to be different. Some would say there was something in the air. 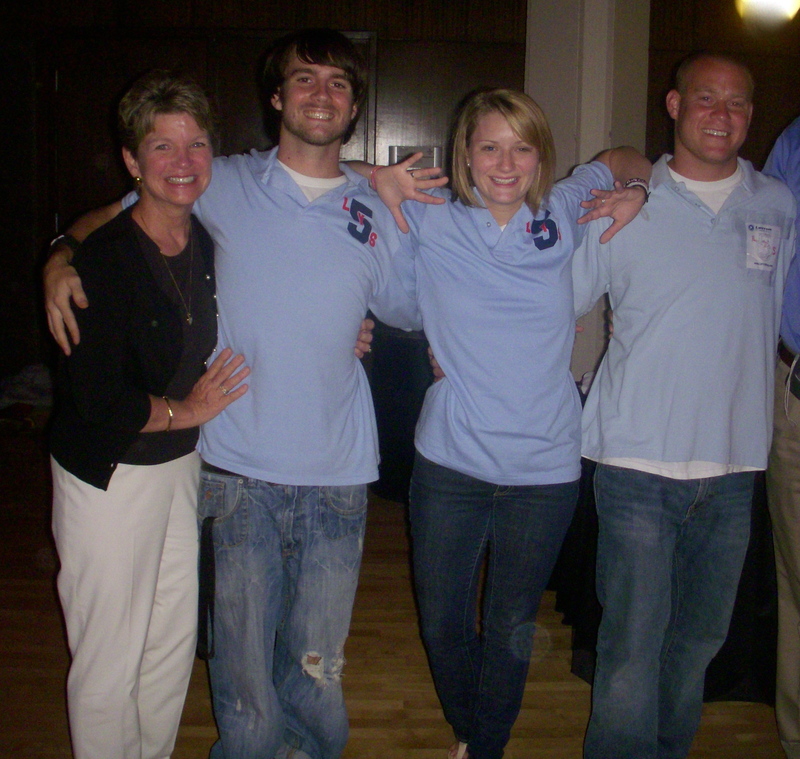 The 2010 staff were prime examples of leadership in action. We weren’t individuals- we were a team- to serve the delegates and to teach them about leadership while having a blast. A blast is what we had! We laughed, we cried, we danced, we sang, we cheered, we lost our voices, we hugged, and we laughed some more. It was the best week of my life. But it wasn’t about us. LYS is about the delegates. They were enthusiastic from the moment staff enthusiastically greeted them at their cars until long after the last delegate left seminar. They made friends that quickly became family. They cheered their hearts out to the point of losing their voices. They danced. They laughed. They learned. They grew. The delegates were truly amazing. They kept traveling even when the walks turned into hikes. They kept cheering when they couldn’t speak anymore. They made friends to last a lifetime. And they learned how to truly be leaders. 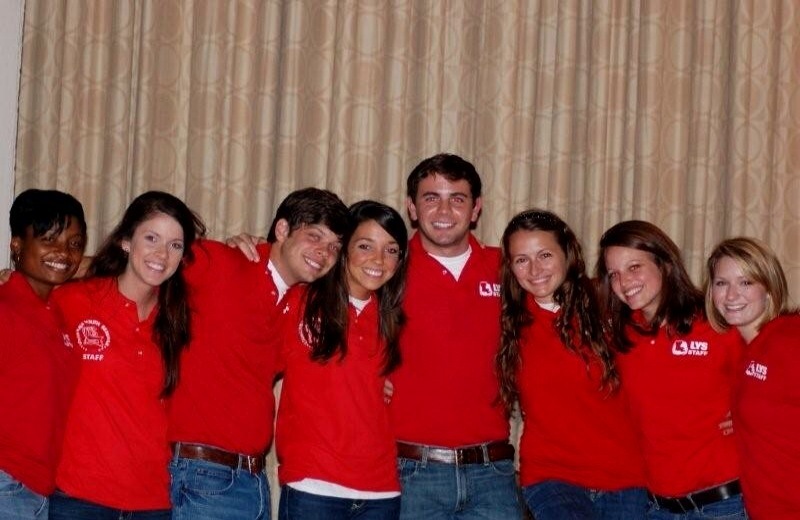 Each staff member attended LYS as a delegate before joining staff. Staff members often recollect the moment he or she got “the call” and how grateful he or she is to be on staff. But what staff members often don’t realize is how grateful we are- as staff, alums, delegates, and parents- that they are a part of something great. Each year we have a five- year ceremony (as mentioned before) to honor those who have given five years of service to LYS- the first year as a delegate and then four years on staff. In 2010 we inducted four outstanding leaders to the Five-Year Club: Michael Amy, Callie Romero, CJ Thomas, and Afton Zaunbrecher. As Head Table (Program Director, Assistant Program Directors, and Staff Assistants) we gave this video to the five-years to thank them for their service. It was a lot of fun making so I hope you enjoy it and get a glimpse into The Louisiana Youth Seminar. This entry was posted in Uncategorized and tagged leader, leaders, leadership, louisiana youth seminar, LYS, Pattie Kitchen. Bookmark the permalink. Can you post this on the LYS FB site, which is Louisiana Youth Seminar. 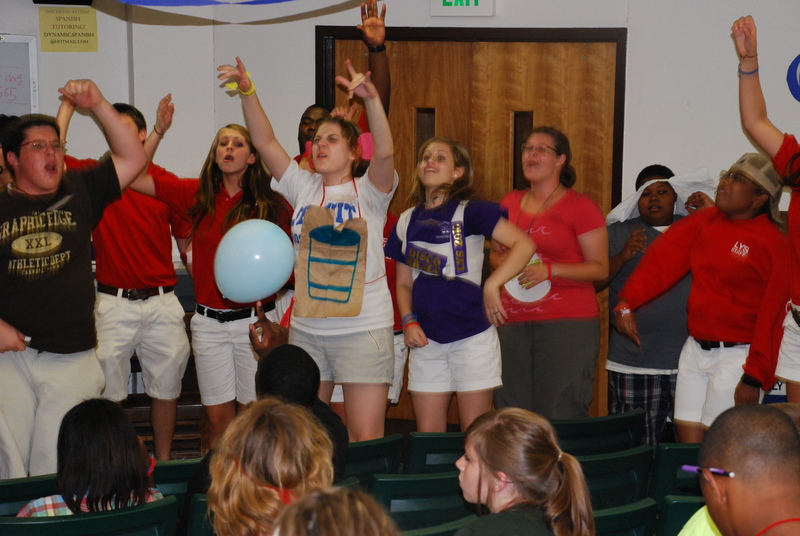 The LYS – Louisiana Youth Seminar is also our FB site, but the delegates use the other one.